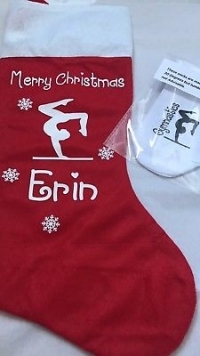 Novelty Christmas felt stocking personalised with any name. Gymnast motif, snowflakes and merry Christmas. Complete with 1 pair of novelty socks , trainer style with a gymnastic theme.